Macrophages are scavenger cells of the immune system that engulf and digest invaders, including bacteria and other pathogens, as well as toxins and dead cells. They are central to so-called innate immunity—immune defenses that can act without previous exposure to a pathogen. They are central to inflammation, the responses of the body to infection and injury, and also when inflammation becomes chronic during diseases like atherosclerosis and tuberculosis. When Zanvil Cohn (1926-1993) began studying macrophages in the early 1960s, little was known about them. Immunologists had for decades focused on the chemistry of the second major component of the immune system—the acquired immune response, in which the body produces antibodies in response to exposure to an antigen. In pioneering studies, both at the laboratory bench and with human subjects, Cohn helped launch the new field of cellular immunology. Cohn joined the Rockefeller laboratory of the eminent microbiologist René Dubos in 1957. There he teamed up with James G. Hirsch, who was beginning to investigate how leukocytes (white blood cells) ingest and kill microbes. (The two scientists later became joint heads of the Laboratory of Cellular Physiology and Immunology.) As part of the research, Cohn and Hirsch produced remarkable films showing this process, films that are familiar to innumerable biology students. Cohn then focused in on one branch of the leukocyte family, macrophages ("big eaters") studying the engulfment process (endocytosis) in detail. 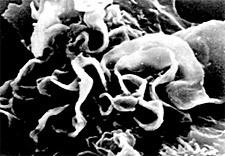 With his skill in growing the cells in tissue culture, in using biochemical methods, and in obtaining detailed moving images through a microscope, Cohn was able to describe for the first time how the cell's outer membrane folds around the captured material and forms a kind of sac into which the captured prey enters the cell. The sac, or vacuole, is then pinched off from the cell surface and enclosed within the cell body, later to fuse with other sacs filled with powerful degrading enzymes (lysosomes) that digested the contents. Cohn's discoveries on endocytosis in macrophages have proved fundamental to cell biology, since endocytosis is a process universal to all cells, and is the mechanism by which cells digest materials from their surroundings, ranging from microbes to proteins carrying nutrients. Further groundbreaking studies on macrophages in Cohn's laboratory identified more than 50 substances that macrophages secrete, many of them crucial to modulating inflammation and wound healing. Cohn also investigated the developmental origins of macrophages, and identified the blood monocyte as the precursor for tissue macrophages and the bone marrow as the source of monocytes. His laboratory made major advances in understanding how macrophages are activated. In addition, in the course of studying macrophages, Ralph Steinman and Cohn discovered a new type of immune cell in 1973, which Steinman named the dendritic cell. Subsequently found to be the sentinel cells of the immune system, dendritic cells are being investigated today by Steinman and others as the basis of new therapies for cancer and autoimmune disease. 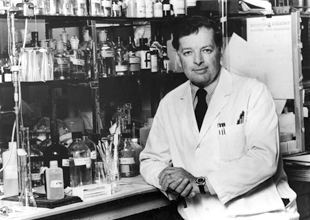 A committed physician-researcher, Cohn carried many of his basic findings into clinical studies to expand the knowledge and treatment of infectious diseases. In some diseases macrophages engulf pathogens but fail to kill them—in fact, the pathogens instead are able to thrive, multiply, and reactivate disease. In the early 1980s Cohn initiated a series of studies with patients—in clinics around the world, as well as the Rockefeller Hospital—to understand how this happens and to investigate therapies for diseases including leprosy, tuberculosis, parasitic diseases especially Leishmanias and Chagas Disease, and AIDS. Cohn also established a program that provides MD-PhD training for students at Cornell and Rockefeller. Zanvil A. Cohn earned his undergraduate degree at Bates College (1948) and the MD from Harvard Medical School (1953). After internship and residency at Massachusetts General Hospital, he served in the Army Medical Corps as a captain at the Walter Reed Army Institute of Research in the laboratory of physician and virologist Joseph Smadel. Cohn joined the Rockefeller laboratory of René Dubos in 1957. He became full professor and head of laboratory in 1966 and remained at Rockefeller the rest of his career, serving also as senior physician at The Rockefeller University Hospital, and vice president for medical affairs. In 1972, with James Hirsch and Alexander Bearn, he organized with Cornell University Medical College one of the first medical scientist training programs for the combined M.D.-Ph.D. degree. Among many honors, Cohn was an elected member of the U.S. National Academy of Sciences (1975); he held the first Henry G. Kunkel Professorship at Rockefeller (1986); and he received honorary degrees from Bates College (1987), Oxford University (1988), and Rijksuniversiteit, Leiden, The Netherlands (1990).